Though I have moved away a few times I have always found my way back to my hometown of Buffalo and have weathered many storms in my 53 years, including the Blizzard of '77 when I was a teenager. But this storm was different. The path it cut was more like a tornado snow storm, this is why people are referring to it as the "knife." It's path was somewhat narrow and direct. And the thunder and lightening it produced was really eerie. The media keeps saying that Buffalo is buried in snow but truth be told only one area of the city is actually buried (South Buffalo). From what I can tell most of the brunt of the storm hit south and east of the city. The most that we (most of the city) received was 10" or less. In some places it was just a dusting. But a few miles away the snow was and is life threatening (to date ten people have perished). Two of my sisters live east of the city where there is more than five feet of snow...not drifting because of the wind but just simply five feet deep of snow! (and I rarely use exclamation points.) There is no way to push it out of the way--because of it's mass--in the traditional snow plow way, it has to be scooped into trucks and hauled away. 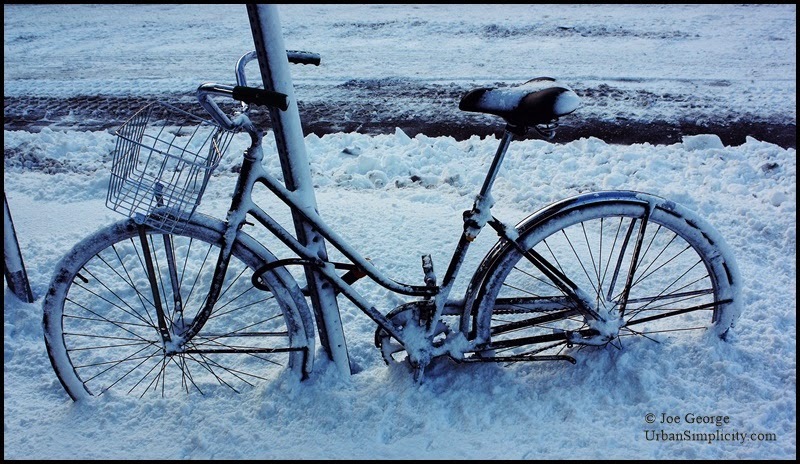 Pictured above is my bike as I went grocery shopping last evening; I had just put on the steel studded snow tires. But it seems too trite to even talk about this with the devastation happening just a few miles from where I type these words. If you believe in prayer I ask you to pray for the people south and east of this city, and if you don't please just send kind and healing thoughts (which of course is a type of prayer in itself). I don't know why this was so poorly reported by the Buffalo press and the press in nearby southern Ontario (which includes the GTA, where the anglophone "National" news is concentrated). All the serious reports seemed to come from south Buffalo or southern suburbs (where I've never been in my life; my familiarity with your fair city relates more to its university campuses in the north and west). It is terribly sad about the people that died; even being "hooked in" can't save everyone. 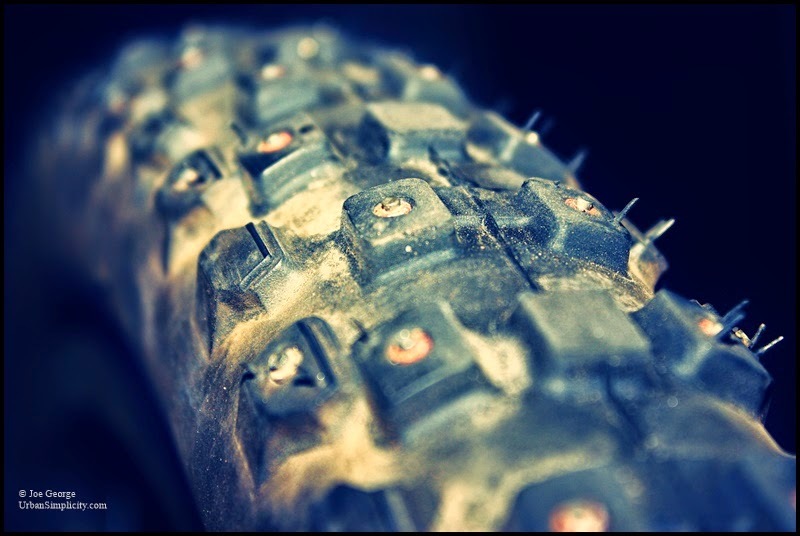 Don't feel your studded tires are trite; they can be a low-tech means of helping others in such an emergency. 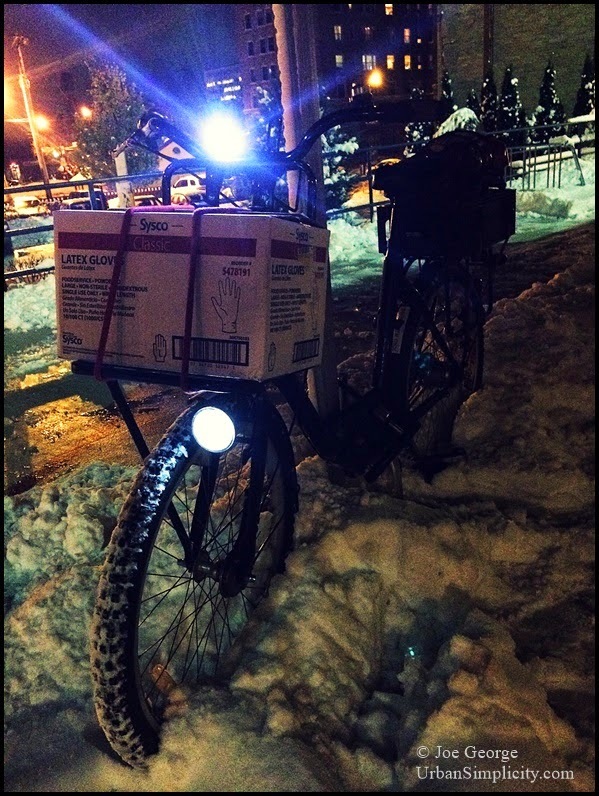 A cargo bike is a sturdy little steed, and it doesn't require either food or fuel (except for some good cooking and a modicum of vino - consumed after one's safe return, of course. The name of this storm was even more strangely generalizing: http://en.wikipedia.org/wiki/North_American_Ice_Storm_of_1998 as of course it affected a very small part of North America from Ellesmere Island to Chiapas. 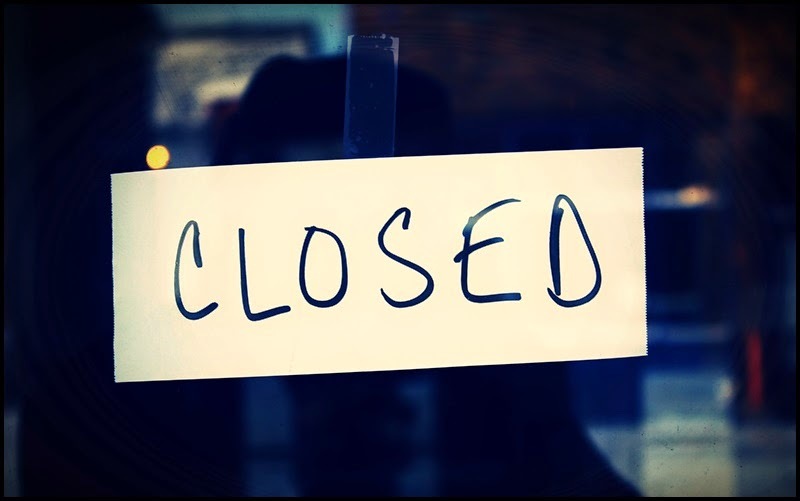 It was a very specific swath of eastern Ontario, southwestern Québec, and areas of the extreme northeast of the US from northern tier NY to Maine. (The French article is better and has a more specific title).